The author is with Philips Research Laboratories, 5600 MD Eindhoven, The Netherlands. 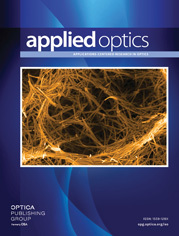 GRIN-rod lenses, ball lenses, and plano-convex rod lenses are currently proposed for fiber-optic devices. From analyses of the aberrations of these lens types it turned out that equivalent lenses in a well-designed coupling have nearly the same aberration. We derive valuable relations between the coupling efficiency and the optimal lens parameters. For each above-mentioned lens type, coupling efficiencies of 95% (0.2-dB insertion loss) can be obtained if typical communication fibers are incorporated. We also present a lens connector that has been fabricated in a factory-type production line. Its performance reaches the theoretical limits. Finally the influence of misalignments in the lens coupling system is investigated.